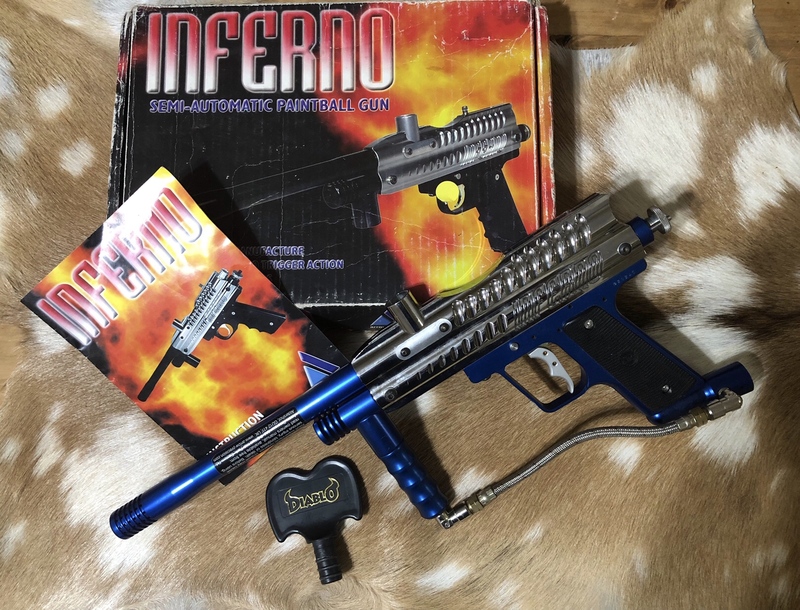 Inferno with box, manual and barrel plug. Here’s a nice little throwback. Everything pictured. It is missing the bolt from the previous owner but any cheap spyder bolt will work. Might need new orings if you plan on using it.